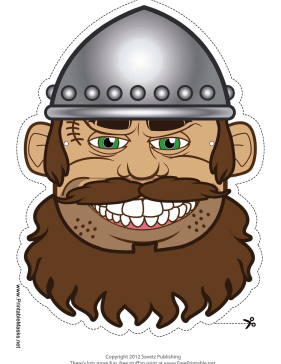 This scruffy male Viking mask has a steel helmet, a brown mustache, and a big bushy brown beard. Wear this mask to pillage all of Europe! This mask is free to download and print.